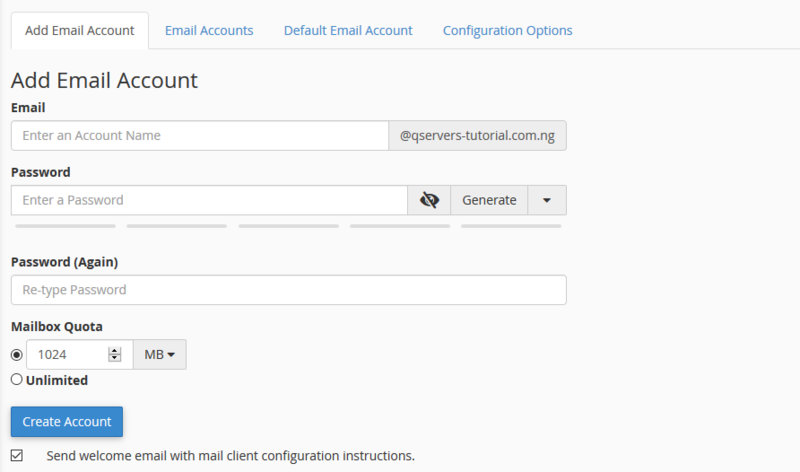 You have the ability to create email accounts from your cpanel. 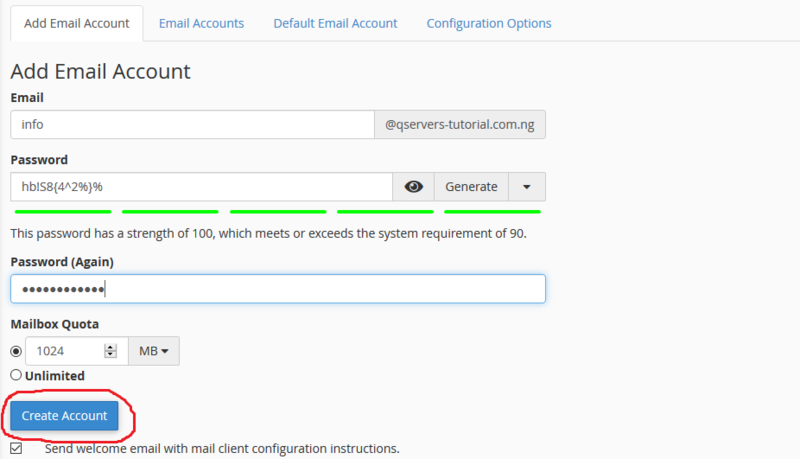 The number of email accounts you have is controlled by your web host and shown on the main screen of your cPanel interface. In QServers WebHosting, all our hosting services comes with ability to create unlimited email addresses. Step 1: Log into cPanel and locate the Email account icon. Step 3: Enter the required information into the text field provide (name of the account and the account's password). You should ensure that the password combination has a minimum strength of 90 else the account creation will not proceed. Also ensure to set the quota for the mail box you want to create. Once this is set, click on "CREATE". Congratulations!!! You have now successfully created your customized email address. Some email clients may not recognize non-standard characters for the account name. If the account is not being created, make sure that all fields contain information before clicking on create.